The nearly 270-km Jammu-Srinagar National Highway, the only all-weather road linking Kashmir with the rest of the country, was blocked by fresh landslides at Digdol in Ramban district, they said. Jammu-Srinagar Highway is the only all-weather road linking Kashmir with the rest of the country. Traffic on the Jammu-Srinagar National Highway was suspended for the second consecutive day today due to landslides triggered by heavy rains in Ramban district. However, the Mughal road is opened for two-way traffic. They said no damage or casualty was reported in the landslides and it caused a massive traffic jam on the road leaving hundreds of passengers stranded. Over 400 vehicles are stranded at various places en route, they said. 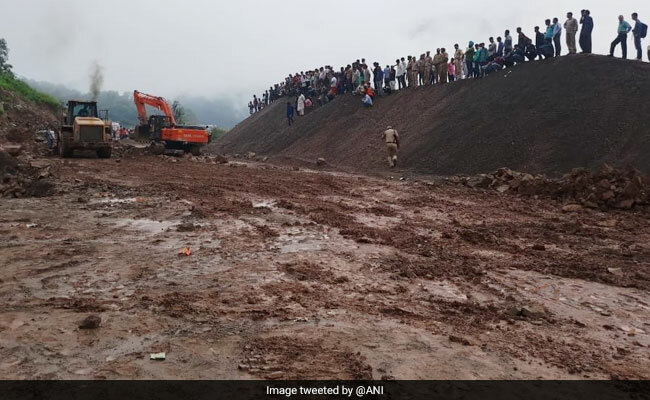 The men and machines of BRO are working to clear the highway of landslides and make it trafficable, they said, adding two major landslides at Seri in Ramban and Kheri in Udhampur were cleared by the BRO and the highway made motorable for a brief time but fresh landslides blocked it. Traffic personnel said the Mughal Road, connecting the twin districts of Poonch and Rajouri in Jammu region with south Kashmir's Shopian district, was opened for two-way traffic. The roads in Mahore in Reasi district were also closed due to multiple landsldies besides some roads in Kishtwar and Rajouri suffered some damage due to flooding. In Kathua district, a road patch has been washed away by flash floods at Basholi, they said.